In a previous blog post, we talked about the different reasons your car won’t start. 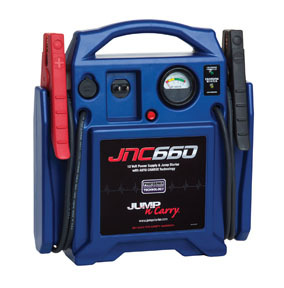 Today, I would like to follow up with talking about how to choose the right jump starter for your needs. Like man, all jump starters are not created equal. There are a myriad of different options to choose from. We will be discussing options for your daily driver to your heavy duty towing vehicles. For your daily driver or family vehicle, we have two favorites. The Jump-N-Carry KKC660 and the TCBES5000 by Booster Pac. Below I will show you the details and help you chose the right option for you. The KKC660 delivers 1700 Peak Amps and 425 Cranking Amps of starting power and weighs just 18 lbs. Perfect for a variety of professional starting environments, including automotive service, fleet service, auto dealerships, auto auctions, marinas, implement dealerships and more. Multiple jumps between charges and 43″ cables make the ES5000 as convenient as it is powerful. For you drivers of large trucks like an F-250 or above or a vehicle you are using to pull a boat, tractor, or heavy equipment we also have two favorites. They are the SHUPSJ-3612 by Schumacher and KKCJNCXF by Jump-N-Carry. 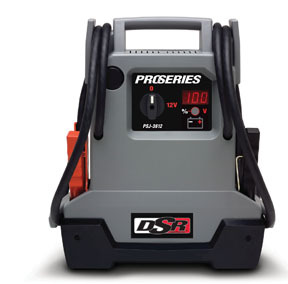 Two, 18-Ah Professional-Grade, High-Output AGM Batteries—especially formulated to jump start vehicles. Non-spillable; stores in any position. Heavy-duty clamps have replaceable, copper jaws—fit both top and side-post batteries. Unique, High-Impact Rubber Base—for case protection. 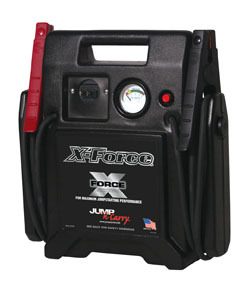 The new standard in power-to-weight ratio in a handheld jump starter, its exclusive X-Force battery delivers 770 Crank Assist Amps to tackle the toughest automotive, marine and industrial jump starting assignments. For the big boys (and gals), we have big and powerful toys. 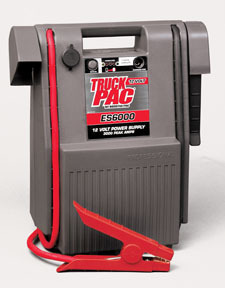 Our two favorite heavy duty chargers are the TCBES6000KE by Booster Pac, and the KKCJNCXFE by Jump-N-Carry. The workhorse of the Booster PAC family, the ES6000 delivers 3000 Peak Amps. Now, what does all this mean to you? We have broken these jump starters out into three different tiers. Tier one would be your every day jump starters. These are best suited for your home garage and to keep in the trunk of your car, truck or van. They work like a charm and are a great selection for anyone. 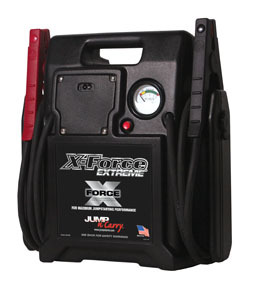 Tier two jump starters are designated for those of you that have large trucks and SUVs. Finally, tier three are for your big, heavy duty trucks. We’re talking about F-450+ or 4500’s for you GM folks. If you have any questions about any of these jump starters or just jump starters in general, please leave them in the comments box and we’ll answer them right here for you. Or you can feel free to email us at customerservice@nationaltoolwarehouse.com and we will return your email promptly! Don’t forget to sign up for our email specials…don’t worry, we won’t spam you or rent/sell your email address. We simply use our email list to send out specials and private discounts only available to our email subscribers. This entry was posted in Automotive News, Car Maintenance, Car Talk, General, Learning Center, National Tool Warehouse Post by MACK HANSON. Bookmark the permalink.